Santas, Pirates, Jedis, Super Heroes, Power Rangers, Princesses, Mermaids, HP Wizards, Stilt-Walkers, Fire Breathers, Belly Dancers and much more! Serving the entire US Eastern seaboard. He was the surprise guest at our Cub Scout event. He was AWESOME ! My nephew has a speech impediment, and he was randomly picked to be a participant on stage when he raised his hand (needless to say, I was very anxious for him). When Captain Jack asked my nephew for his name, my nephew replied as best as he could "Jack !".. without missing a beat, Captain Jack replied, "That's a great name". Captain Jack even asked my nephew a few questions, and had conversation. My nephew was ECSTATIC ! My nephew is still talking about it to his Mom, Dad, and his Grandparents. He wants to be a pirate for Halloween instead of Captain America. He loved your 'pirate speak'. Thank you for being warm-hearted and understanding. 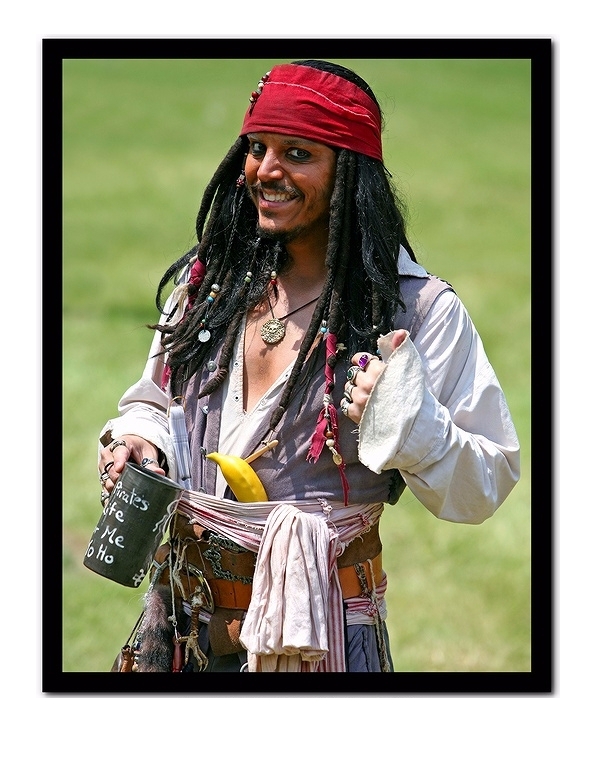 Jack Sparrow came to our scout event over the weekend and he was hilarious! Had the parents and kids laughing so hard. We did a lot of fun things at this camp out and he was the highlight! Captain Jack performed at my grandson's 7th birthday party. He was absolutely wonderful entertaining the kids, as well as the parents and family. Capt Jack's voice is like the pirate, strong and heavy. He really resembles Johnny Depp. Everyone had so much fun asking me where did I find him. I was so amazed by him myself. Capt Jack was the light of the party. My grandson was surprised to have him at his party. He had no clue or his classmates and friends. 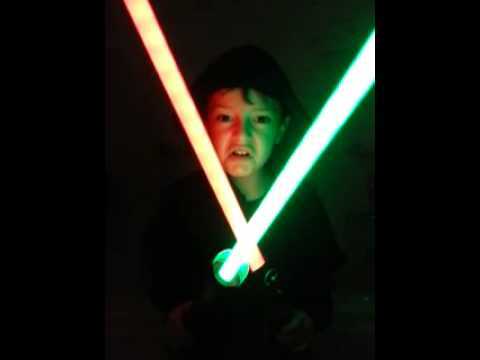 The look on my grandsons face was priceless. 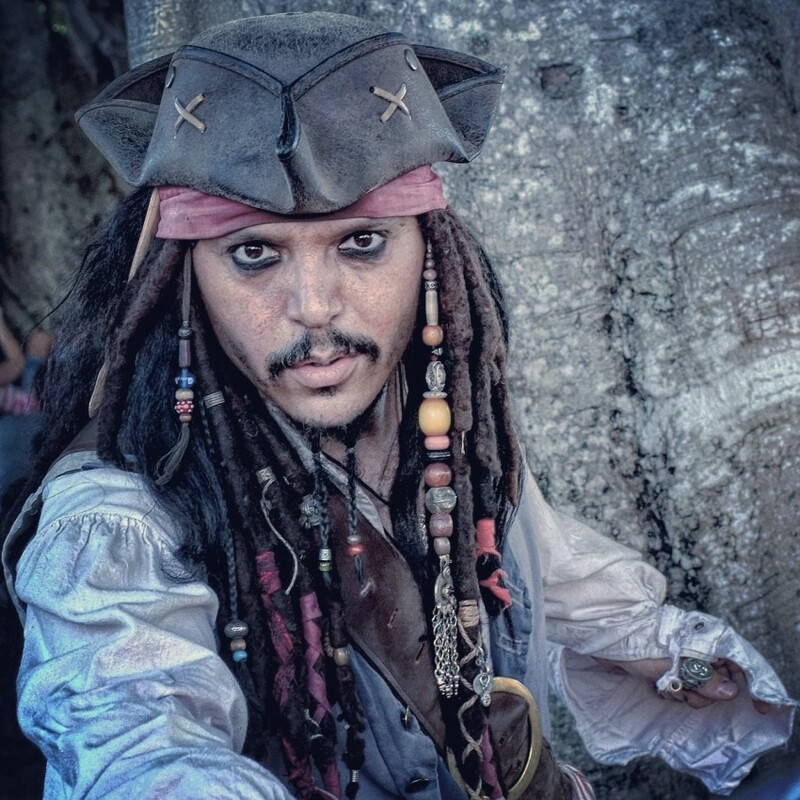 Captain Jack is amazing by what he does with the kids. He is so involved in what he does and it shows. I highly recommend him for your special day. He will give a great performance. Do not hesitate to call him for your special event. He will be worth it and you will be writing a review like me!!!! I had hired him 5 months in advance. He was extremely nice and helpful all the way through the months leading up to the event. I had given a deposit. The week or two before the event I tried reaching him by phone, email and facebook messenger and he did not return any of my calls. I advertised like crazy that he would be at the fair. He did NOT call me back or email. He still hasn't. He never showed up to the event. I am now trying to get my money back. Bad customer service, and bad business. This is someone that could of had a gig at least 3 times a year with us. I am very upset and disappointed. Professional! Looked great! Acted and spoke just like captain jack! Kids and adults loved every second! Soooooo funny! I didnt know he was going to roast eveyone. It was hilarious. Everyone wanted to know how we found him. Couldnt have done a better job!!! Jack Sparrow came for my daughter's 4th birthday party. She was so excited, every time he even looked at her, she lit up. Steven made her feel so special and was a huge hit with the entire crowd. I cannot recommend Stephen highly enough! Thank you for everything. Look no further! He looks and plays the part so well! Very entertaining to adults and kids... kept the kids happy and played with themFor 2 hours! Good fun for all ages! We went to a friends 5th birthday and captain Jack was there. He was hilarious and so engaging with everyone at the party, small and old! My son was never really "into" pirates,however, after that party it's all pirates now! Needless to say we had a BLAST! I was at a friend's 9 year old son's birthday party. He was perfect. The kids never stopped having fun. Balloon swords were the best along with the un-dead monkey the birthday boy received. He kept telling jokes the whole party that were for the kids as well as the adults. Steven made sure the adults sayed involved as well. My friend told me that she tried to get his picture on her son's cake, and the bakery refused as they thought he was Johnny Depp. I would highly recommend him for any party! Steven was awesome for my son's 9th birthday. He kept the kids moving, jumping, interested, talking and more. The adults had just as much fun as the kids epecially with the balloon sword fight! I would highly recommend him for any event that you are planning! I just had the best luck in finding this incredible Jack Sparrow for my daughter's 4th birthday party! Steven was as close to the real Captain Jack as you can hope for and really gets into the character. He really made the party so memorable! I would highly recommend him for any type of event! Went to a birthday party with this Jack sparrow and everyone from kids to parents were entertained with laughs. Pirates, Princesses, Faeries, Wizards, Stilt-Walkers, Fire Breathers, Belly Dancers and much, much more! The World's premiere Capt. Jack impersonator. ~Parades or for whatever the occasion arises. Steven has been a mainstay at the Boynton Beach Haunted Pirate festival in Boynton Beach, FL. and is a regular at the Mariners Museum in Newport News, VA. the Pennsylvania Renaissance faire and the Pittsburgh Renaissance festival. Steven is on the cover of the book "Pirate fever" as well as featured in the best-selling book "Caribbean Pirates". You can also see his Feature Article in Renaissance magazine Issue #76, Vol. 15 #6 from 2010. He has been Associate Editor for The Pyrates Way magazine, he helped produce the first 2 issues of Pirates magazine and he is featured on 3,000,000 Postcards which were distributed all over the world.